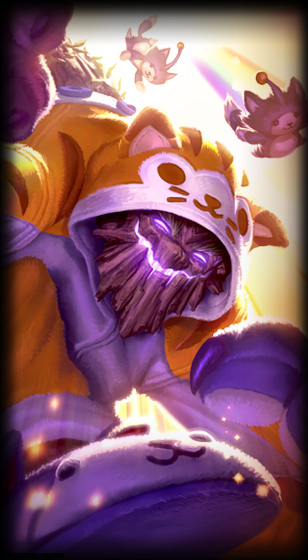 Patch 6.6 is on the way and the official patch notes have been posted! Continue reading for the complete notes, including Aurelion Sol, a goofy set of new skins, and more! NEWTREE’S A CROWDSaplings no longer stack on top of each other. Instead, they shuffle a short distance away from one another. Usually, when a fed Master Yi dominates an entire team it’s a rare occurrence that comes from careful risk management on a really fragile champion. These days, however, Yeezy’s build of choice is almost fullydefensive, abusing on-hit synergies to get most of the damage with far less danger to himself. We’re changing up the way Yi scales so that he can still reasonably achieve the same damage thresholds, but he’s gotta give up some safety and reliability to get it. ON THE BALLFixed a bug where Command: Attack had a smaller AP ratio when moved very short distances. 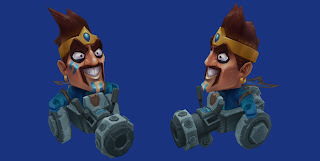 For anyone that’s laned against Quinn, this change is a bit of a no-brainer. 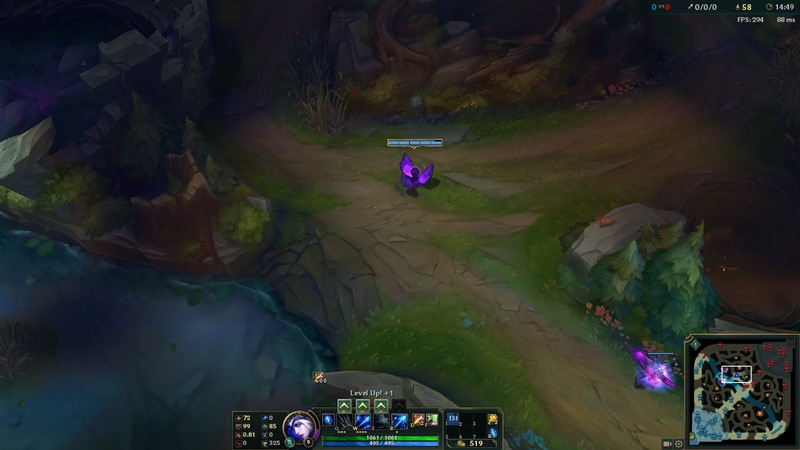 While giving her the ability to shut down long-ranged champions (like Xerath or Jhin) is neat, in reality Quinn just finds the weakest melee champion on the enemy team and controls their ability to contribute. Quinn’s identity is all about hyper-roaming and the flexible pick/pushing potential that comes with that. Quinn’s identity isnot making melee champions obsolete - so we’re adjusting. While the below changes might not look like much for anyone that’s been mauled by the half-dragon lately, Shyvana is a champion that we define as high-variance. That is to say ‘She’s okay to rampage through a neighboring lane (or village) because Shyvana can’t do that every game’. This isn’t just about risk vs reward or winrates - variance is the other side of the coin of reliability, describing a champion’s spread of being able to achieve certain outputs over time. To break that down, let’s use examples. Amumu can sometimes land 5-man ultimates - or he can whiff entirely - creating a high variance champion. By contrast, let’s look at Kayle’s Righteous Fury. No matter what you do, it’s always going to give you a buff to your range. Does what it says. There’s stillsome variance at play (was this the right time to use it? ), but it’s pretty low-variance overall. PICK A HATThe overhead indicator for W - Pick a Card has been standardized for Twisted Fate's base and all skins. The two unhovered cards are now darkened instead of transparent. Here's a brief look at a few of the new things included in patch 6.6 including things mentioned above in the patch notes and things discovered during the last PBE cycle! This coverage includes preview screen shots and video taken during the 6.6 PBE cycle and may vary from what is pushed to live. 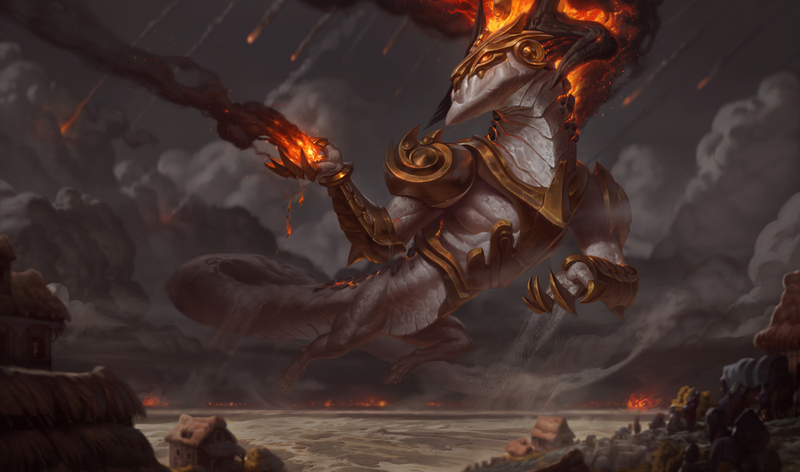 Aurelion Sol, the Star Forger is set for release sometime during the 6.6 patch! Be on the look out for more information once he comes available! 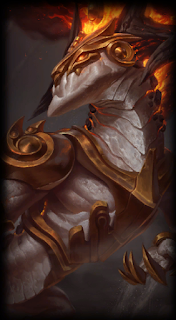 Aurelion Sol's login will also be in this patch! 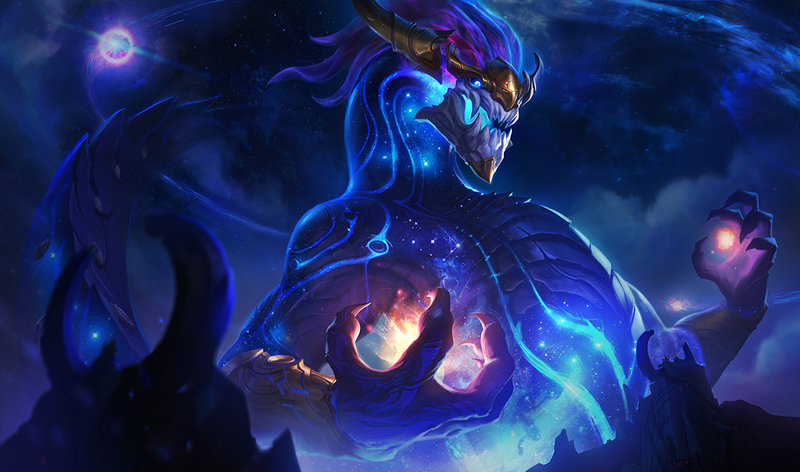 Once Aurelion Sol is officially released, we'll have a dedicated page for his kit, lore VO, and more! Until then, check out the 6.6 cycle pbe coverage for a run down ! Looking for more on Aurelion Sol? Check these links! 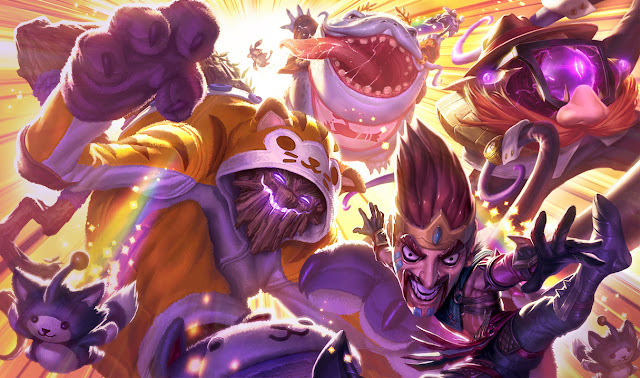 6.6 includes a total of four goofy new skins - Meowkai, Definitively Not Vel'Koz, Urf Kench, and the mysterious Draven Draven! As usual, no release specifics but we'll have a full post up when they are available...Perhaps on April 1st? They aren't mentioned in the patch notes so who knows! 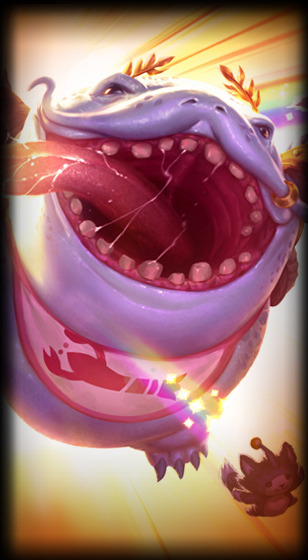 Just in time for April, we also have a brand new Ward skin... wait, did I say ward? 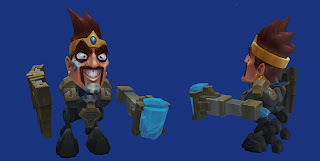 This is Definitely Not A Ward! 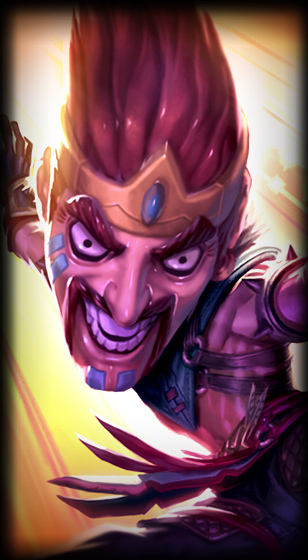 Curiously, we also saw a strange batch of Draven headed minions appear on the PBE during the 6.6 cycle. Keep an eye out for them to pop up on live! 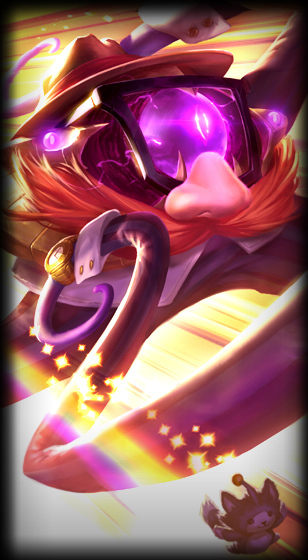 Taric's Hammer has been added to the red side shop keepers barrel. Outrageous! Unique Mini map icons have been added for Zz'Rot portal!